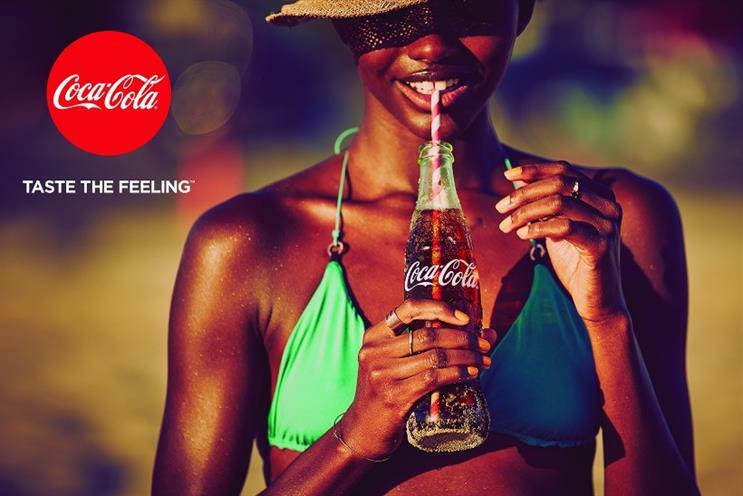 Coca-Cola's chief marketing officer, Marcos de Quinto, says TV spend remains "critical" to the brand, resulting in greater sales than any digital channel. Speaking at a Beverage Digest event, de Quinto added that the brand was trying to streamline its efforts in digital. According to Ad Age, de Quinto showed a slide with data showing TV investment in 2014 returned $2.13 (£1.69) for every dollar spent, versus $1.26 for digital. De Quinto said: "We are very seriously trying to transform our company to make it a digital company, but it's not just to put ads in social media." He reportedly displayed a slide that said: "Social media is the strategy for those who don't have a true digital strategy." De Quinto's comments come amid a raft of senior leadership changes. Coke's chief executive Muhtar Kent will step down next year, and will be replaced by chief operating officer James Quincey. The brand has appointed its first chief digital officer, David Godsman, who formerly headed up mobile payments at Bank of America. De Quinto noted that Coke's digital spend had historically been hefty, but not always particularly clever. The brand has more than 300 apps, the majority of which have "less than 50,000 or 100,000 users", he said.